SMILE GAME BUILDER Exporter for Unity 5.6, which will be released in this winter! SMILE GAME BUILDER has a new standardized price! Now it's 69.99 USD! Try 3D game development with this lower price! We've released a new sound resource DLC pack called "Dignified Fantasy Music Vol.2"! 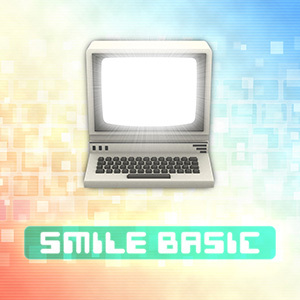 Long-awaited SmileBASIC for Nintendo 3DS is Available in the Most European Countries on August 17! Interested in having unique characters in your stories?! Then we have the perfect feature for you! Try the new 3D Character Editor! "A Healer Only Lives Twice Character Resource Pack" is now on sale at Steam Store! It contains unique and cute 95 types of 3D models with color variations! Game Development Software for Windows "SMILE GAME BUILDER" 70% OFF! New Feature "3D Character Editor" will be Released! SMILEGAMEBUILDER "NEW Trial Version" has been released today! Without any Steam account, 3D battle, camera control!